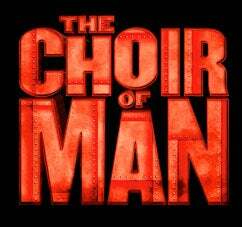 Fayetteville, NC (October 5, 2018) – Due to the lingering effects of Hurricane Florence, the opener for Community Concerts’ 83rd season, The Choir of Man, has been rescheduled from Wednesday, October 10, 2018 to Wednesday, February 27, 2019. “This is a brand new show that we are ecstatic to have and the reviews have been fantastic. We now just have to wait until February,” said Michael Fleishman, Attractions Director of Community Concerts. Community Concerts new season opener now becomes 5 time Grammy winner, Michael McDonald. To learn more or purchase season tickets, please call 910-303-3996. Tickets are still on sale and available online at CapeFearTix.com, by phone at 888-257-6208, and in person at the Crown Complex Box Office & Leisure Travel Office located on Fort Bragg. Now in its 83rd season, this year’s lineup also includes Michael McDonald in his new Holiday and Hits Tour, Three Dog Night , The O ’Jays and America. For more information and to purchase season tickets, please visit community-concerts.com or call 910-303-3996.